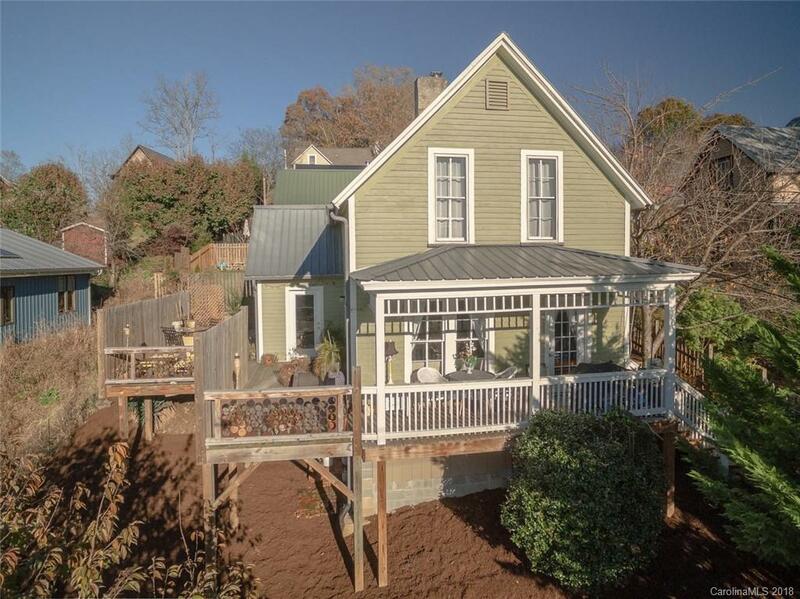 If you’ve always wanted to own a piece of Asheville history, then don’t pass up this rare opportunity to purchase a historic Chicken Hill cottage with BOTH privacy AND views!!! Connected to the River Arts District via quaint public pathway, you are minutes from River Arts District restaurants, breweries, a wine bar, art galleries, coffee shops, & the Grey Eagle live music club. Centered between downtown AVL & West Asheville, & only blocks away from both, this newly renovated home with an updated, natural gas kitchen is surrounded by outdoor living space, and a low-maintenance yard. Warm, light-filled and open, your new home is move-in ready, and features 2 bedrooms, 2 full bathrooms, hardwood floors, & a master suite upstairs with its own small coffee balcony! You'll love that the original character and charm are intact in a well thought out, open floor plan that feels so much larger than 1,331 square feet! This one will not last long, as these homes rarely even make it to the market!